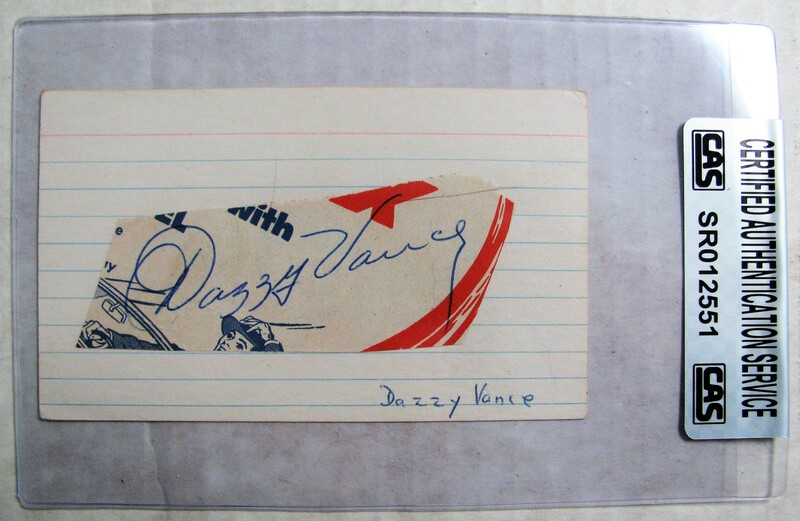 Dazzy Vance Signed cut attached to a 3x5 index card. It comes authenticated by CAS. A note about CAS. Mike root who was a lead authenticator for JSA and SGC has now opened his own authentication business called CAS. Mike has been authenticating autographs for ITPC for many years and is now doing it under the CAS name. Business as usual !